Derry City v Bohemians, SSE Airtricity League, Brandywell, Mon 16th April, KO 7.45pm. 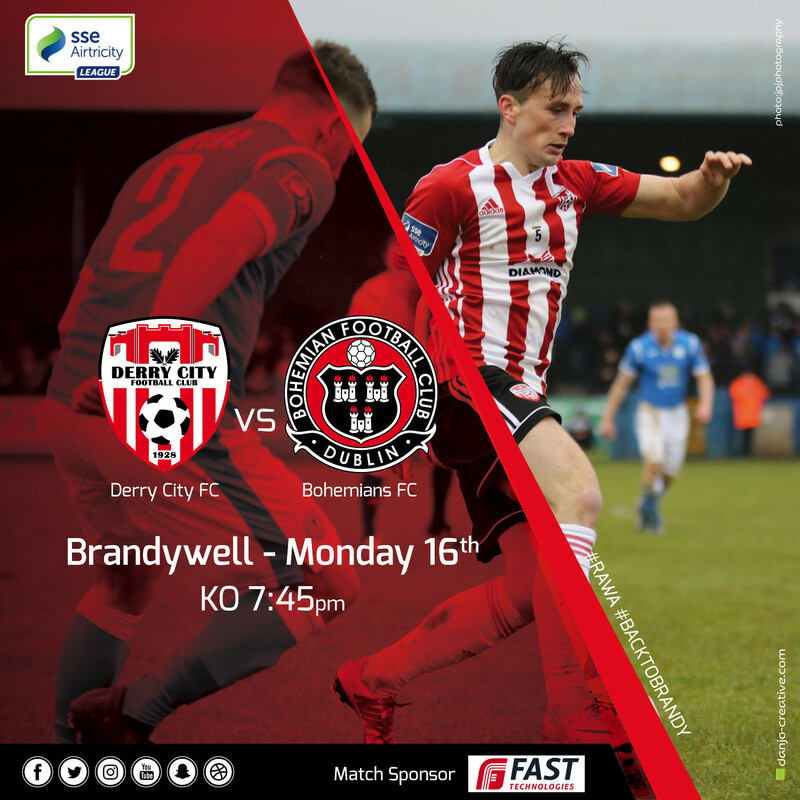 Derry City will look to extend their excellent start to life back at Brandywell tomorrow night when Bohemians will be the visitors to the Lone Moor Road venue. Boss Kenny Shiels says the tough run of matches is a massive challenge for his young squad but insists that they have done everything asked of them so far. “Bohemians are in a false position in the table. They beat Shamrock Rovers on their own patch; the second time they’ve beaten them this season. We lost 6-1 in Tallaght so that shows you what we’re up against”. The limbs may be tiring but the City manager is hopeful that the bulk of his squad will be available for the game. Conor McDermott is out with a hamstring injury picked up in Friday night’s win over Waterford and Nathan Boyle looks likely to remain sidelined as well. The City manager added that he hoped supporters would again turn out in force as their backing has given his team a major lift since returning home.